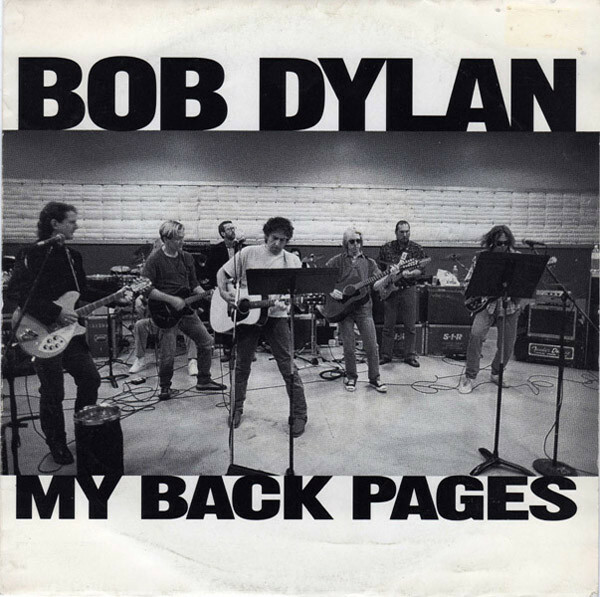 "My Back Pages" is a song written by Bob Dylan and included on his 1964 album Another Side of Bob Dylan. It is stylistically similar to his earlier folk protest songs and features Dylan's voice with an acoustic guitaraccompaniment. However, its lyrics—in particular the refrain "Ah, but I was so much older then/I'm younger than that now"—have been interpreted as a rejection of Dylan's earlier personal and political idealism, illustrating his growing disillusionment with the 1960s' folk protest movement with which he was associated, and his desire to move in a new direction. Although Dylan wrote the song in 1964, he did not perform it live until 1988. The song was partly based on the traditional folk song "Young But Growing" and has a mournful melody similar to that of "The Lonesome Death of Hattie Carroll" from Dylan's previous album, The Times They Are a-Changin'.